Home Entertainment Here are the Details About Taeyang and Min Hyo-rin’s Wedding! 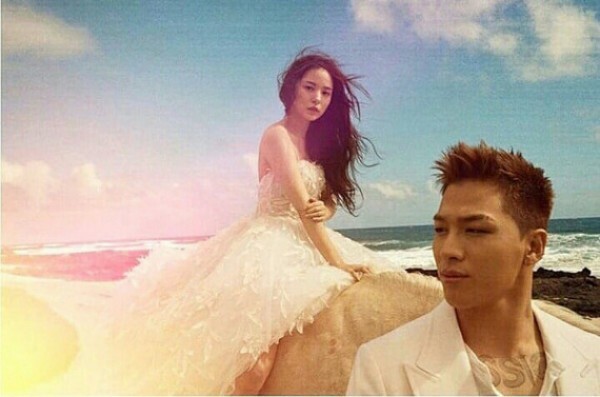 Here are the Details About Taeyang and Min Hyo-rin’s Wedding! 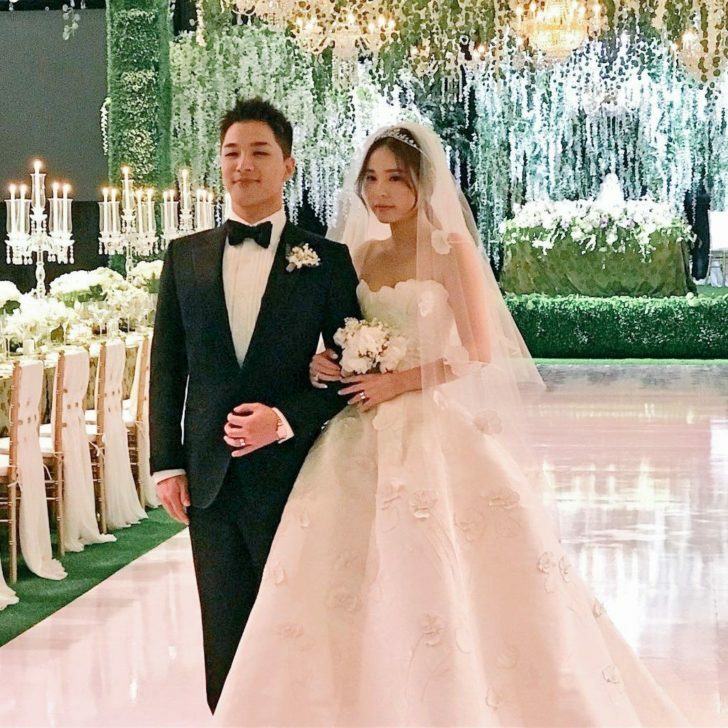 Taeyang, a member of popular K-Pop boy-group Big Bang, finally tied the knot with the gorgeous South Korean actress, Min Hyo-rin. 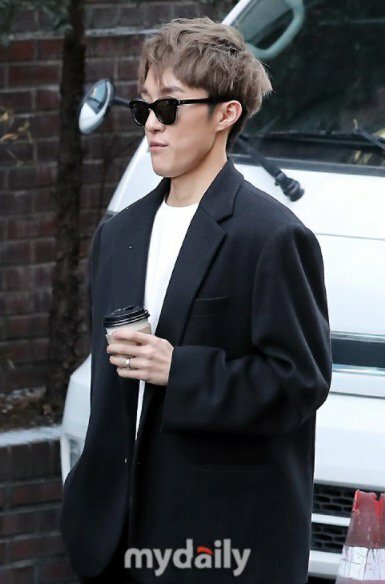 Their wedding was held on February 3, 2018. “Hello everyone, this is Taeyang. 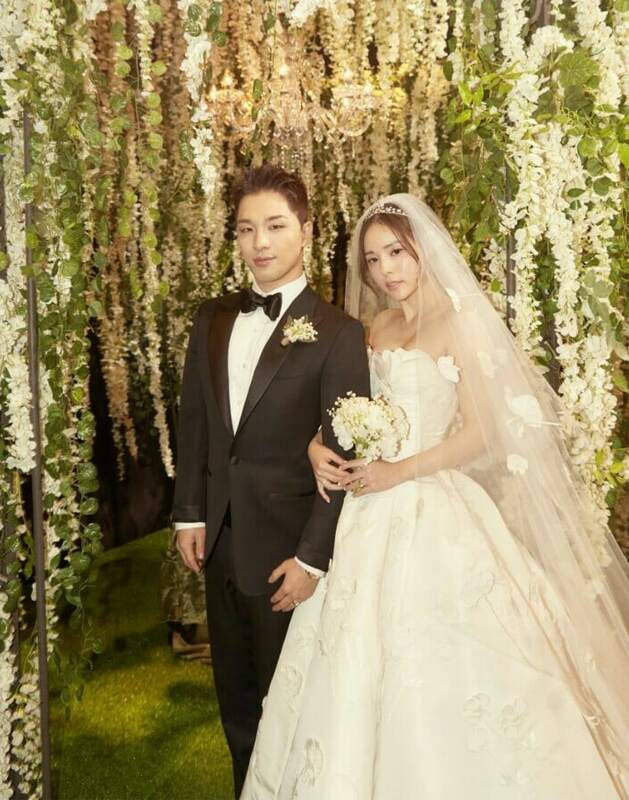 Taeyang and Min Hyo-rin finally decided to marry after having been in a relationship for about five years. Their wedding was held at Seoul Joongang Church in Anyang. The wedding ceremony was only attended by the family and friends of the bride and groom. 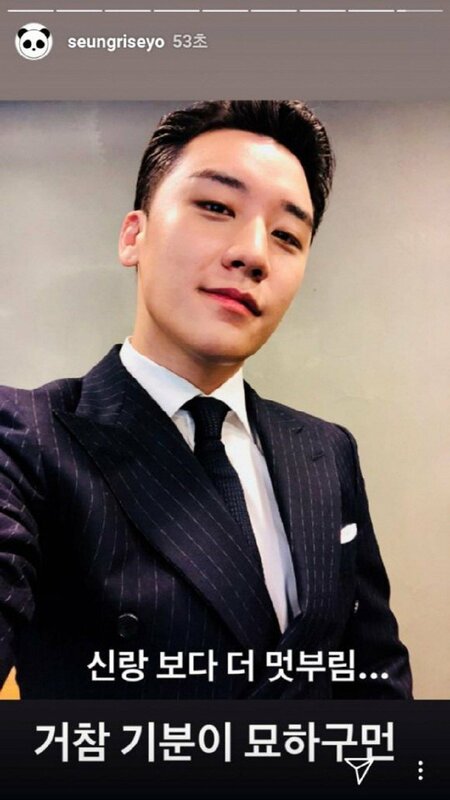 Meanwhile, the wedding reception was held at Paradise City Hotel in Incheon. 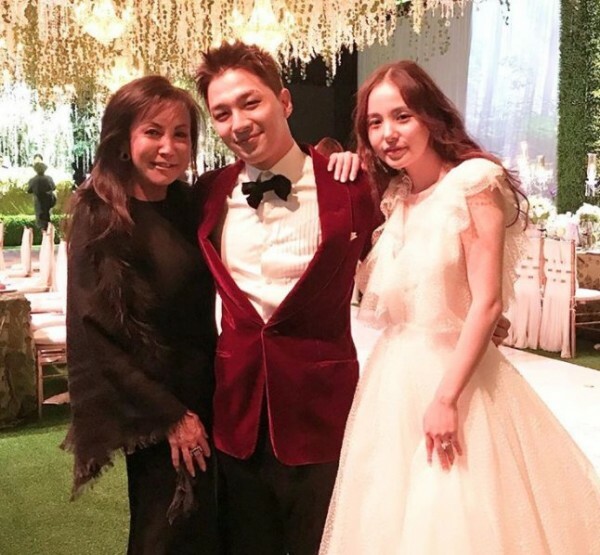 The decoration for after-party was designed by Youngsong Martin, who previously created the forest wedding for the film “Twilight.” For wedding ceremony events that take place during the day, Min Hyo Rin was wearing a wedding dress from the Oscar de la Renta Bridal Fall 2018 collection. Taeyang also looked stunning by wearing Tom Ford’s classic and elegant black suit. Meanwhile, for the after-party, Min Hyo-rin chose to wear a different wedding dress. If Min Hyo Rin’s first wedding dress was classic and elegant, the dress for the evening was more attractive. She wore a gown from Jenny Packham’s latest bridal collection, which had textured material and ruffles accents. 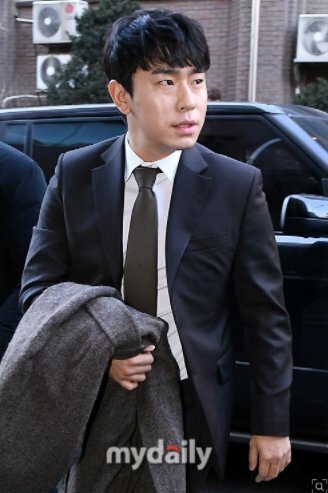 As for the party, the man whose real name is Dong Young Bae chose a red suit and a bow tie. As Taeyang and Min Hyo-rin are very popular artists in South Korean, of course, they have many artist friends. 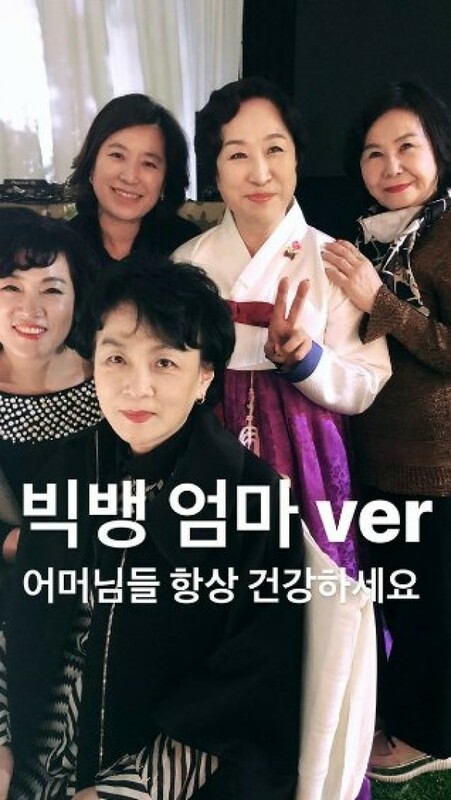 All the Bigbang members attended the wedding, so did all their mothers, who’s picture was uploaded by Seungri on his Instagram. 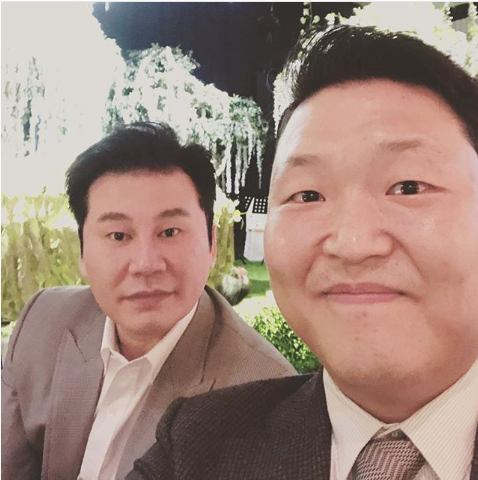 The CEO of YG Entertainment, Mr. Yang Hyun-suk, and PSY also attended and took a picture together. 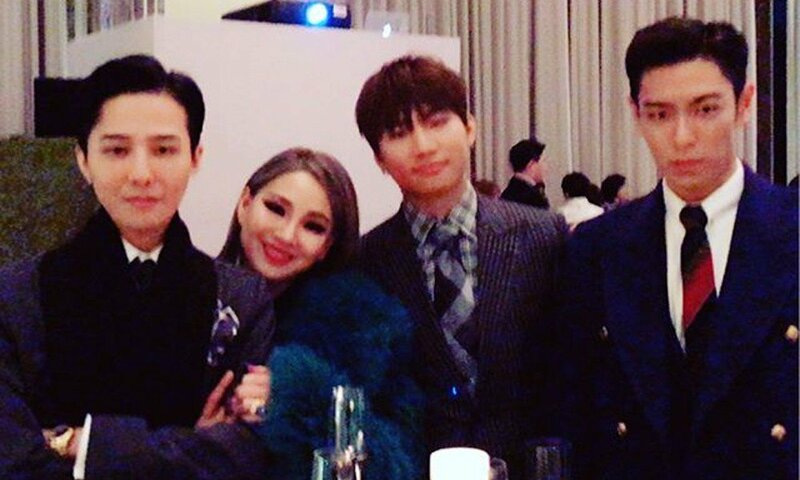 And here are some other artists who attended Taeyang and Min Hyo-rin’s wedding.